It is very clean room, the service is outstanding. 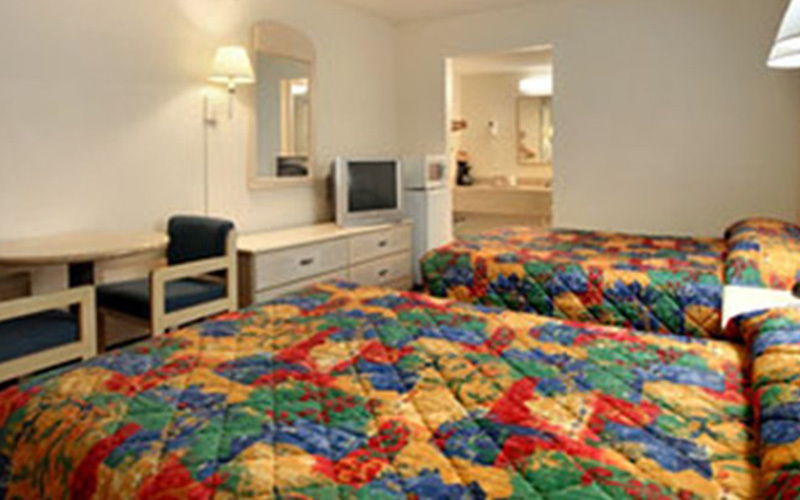 It is one of the only hotels in Titusville that have double queen beds. The breakfast is unreal, pool was great to hang out and getting a tan. I will stay here again. The hotel is really convenient for the Space Centre, and other amazing attractions. This is the first time staying here and with our dog. We stayed at the hotel as a stop going to Miami Carnival. It is extremely clean with all the employees being very friendly. Would definitely recommend this Titusville hotel to anyone who is going a road trip in Florida . The breakfast has a large variety of foods. I love the convenient location for this Garden Titusville hotel. Right next to the town and close to the Space Center. 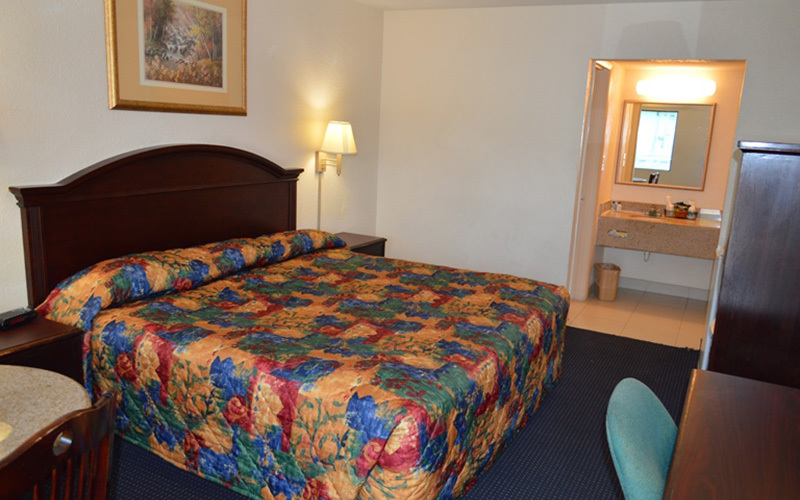 The hotel is very clean, fairly priced, nice staff and friendly staff that is always attentive. Comfy rooms with kitchen. Nice view. Refreshing pool. 5 stars to this hotel! Stayed overnight before our Cruise Ship vacation. The place was exceptionally clean! Nothing to fancy, but clean and friendly staff. The kids loved the pool. The breakfast ladies did an awesome job! They were friendly as well! Close to all attractions and just off the main highway. Quiet rooms and as always, comfy beds! 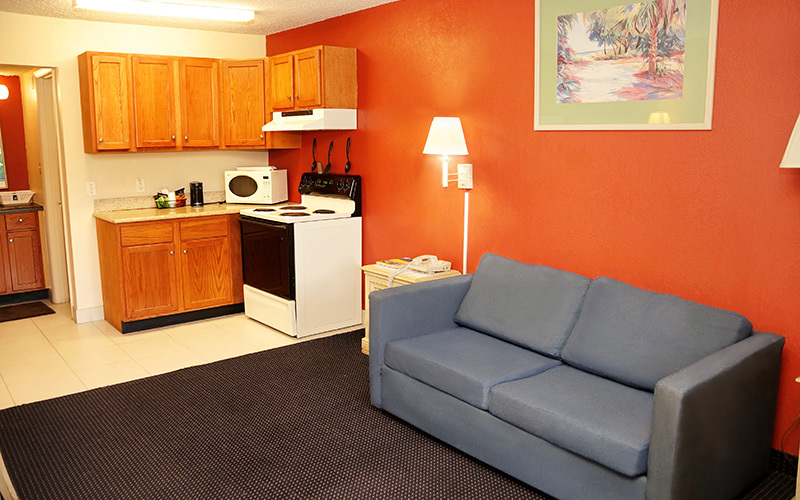 Get ready for a relaxing stay in a fully appointed suite with a ergonomic mattress, television, and full work space. This suite is perfect for families - two double mattresses, eating table, and refrigerator help make this room the perfect vacation home away from home. From pristine beaches to the space center, we’re located in the epicenter of family fun. Reserve a room in advance - for major discounts - with zero booking fees. GardenTitusvilleHotel © 2015. All Rights Reserved.